It's easy to order a custom pet portrait painted by Connie Bowen of your beloved animal companion, or as a special pet portrait gift for someone you care about! Click on the pet portrait link to go to a page that will answer your questions, show more samples and explain prices, procedure and sizes. 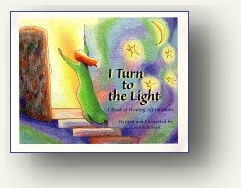 Click on the my books link and scroll down the page to read reviews of all four books. There you'll find links that will take you to the story behind each book, a peek at the inside pages and ordering information. I've posted a little bit about me and my creative process also. 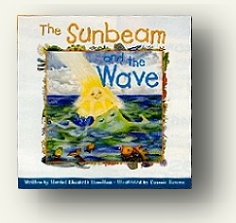 "I Believe In Me", "I Create My World; the Power of Thought to Shape Our Lives" and "I Turn to the Light" as well as the illustrator for the delightful picture book, "The Sunbeam and the Wave." 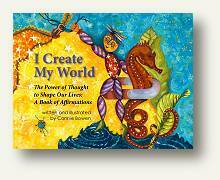 I am also the illustrator for Susan Chernak's books, "Heart in the Wild," and "All My Relations." BOOKS - Over 85,000 books sold worldwide and still counting! Thank you all! Enjoy this fun, inspirational poster! 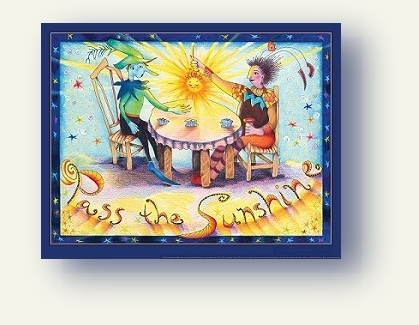 Its inspirational fantasy, whimsical artwork will uplift and renew your spirit! 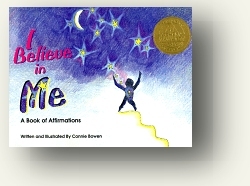 Click on the poster link to see a larger image and ordering information. Click the star to the left to open another browser window and read my articles on Ezine Articles. They can be used for newsletters, ezines and blogs. Enjoy! See more inside pages and learn more about it here.